Birthday week is over and tomorrow I will have to open my eyes and embrace reality again. So before that happens, let me have the excuse to be advantageous of this Sunday and take part of anything that has something to do with being slothful. But as unproductive as I want to be, I just cannot leave you with nothing to read on a Sunday. 1 winner. Open to Philippine readers only. Winners will be chosen via random.org and will be anounced on twitter w/in a week after the giveaway. By the way, Yamamay is currently on sale! Feeling a bit NastyGal-esque in this leotards-highwaist shorts-litas ensemble. I'm still on a 'shorts & pants high' and dresses and skirts seem nothing but less appealing to me as of now. Not quite sure when this high will come to a descent but for the moment, I am enjoying every minute of it! Currently having dinner with my best friend now. Been a while since we hung out so let me wish you all a good Tuesday night cause I still have a lot of 'catching up' to do with him. 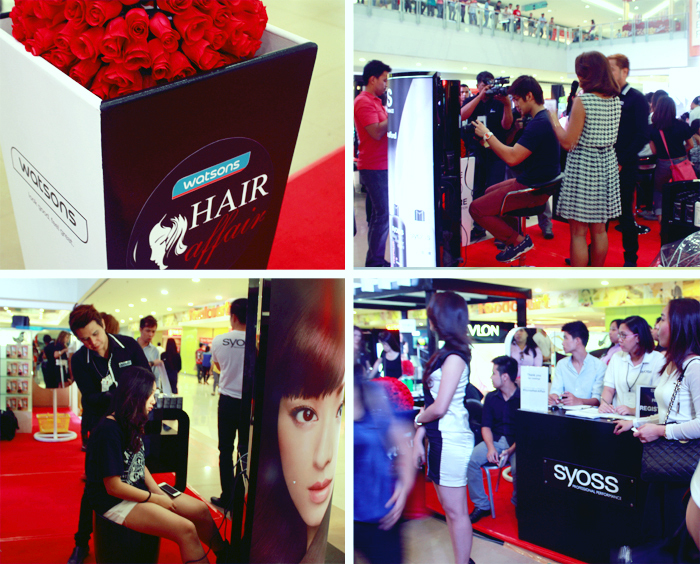 Last week the famous Japanese brand, SYOSS, organized a hair affair event at SM Megamall where in stalls were set up in the area for people (even just random mall-goers) can pass by to have free grooming & consultation with the stylists, and also of course what us girls dream of--a complete hair makeover. And by this I meant color, straightening, conditioning and the likes. Yes it was for free. How awesome? With a once-in-a-blue-moon opportunity like this, I took the chance to consult a stylist and have my hair groomed from flat waves to huge red carpet curls. I mean, that's what us girls always want right? To have those celebrity-esque hair that makes us feel like a million dollar baby! 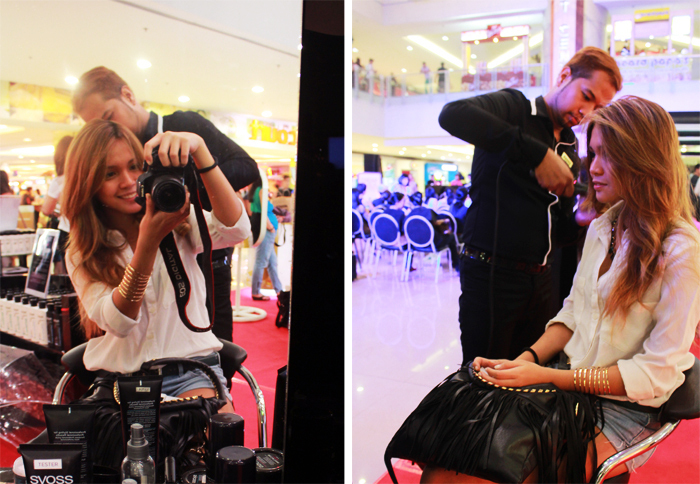 Spotted a fellow blogger, Seph, having his makeover. Also this random mall-goer grabbed the chance to have hers done! 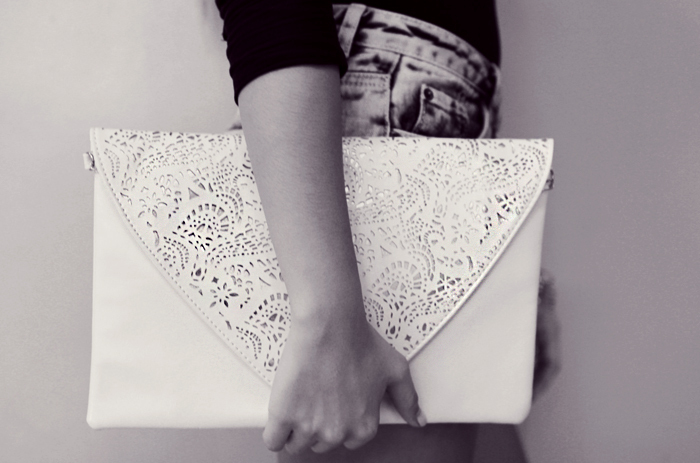 It looks pricey, but believe it or not, these are pretty affordable! The 'before' shot. Observe how my hair was boring and flat. 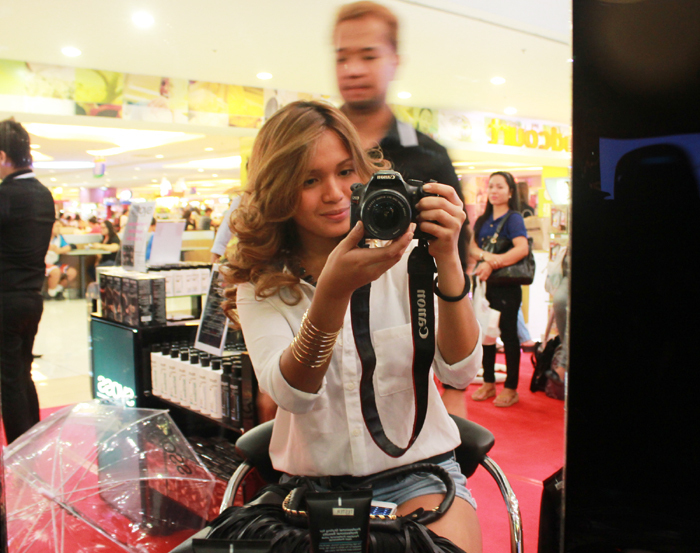 After the makeover Mycke Arcano, the famous hair stylist who groomed celebrities, models etc. was interviewed. He gave tips about different hair cuts fitting certain face shapes and gave away some do's and dont's as well. 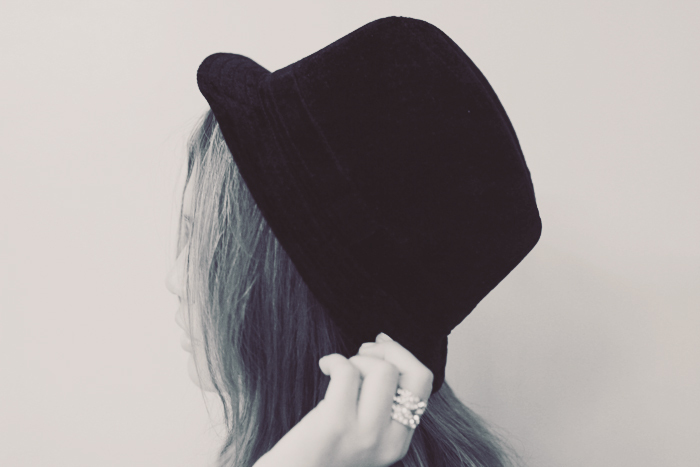 I happen to fall on round so long hair with abundant layers and waves is the perfect style for me. After the talk, he gave a demo on how to groom hair in less than 10 mins. Perfect for those working mom's whose minutes is as precious as diamonds. There was a 'How to do the Lose Bun' turorial and as well as the sought after 'Out of Bed' look. I was amazed with how easy it was, to be honest! By the way, just a little trivia. 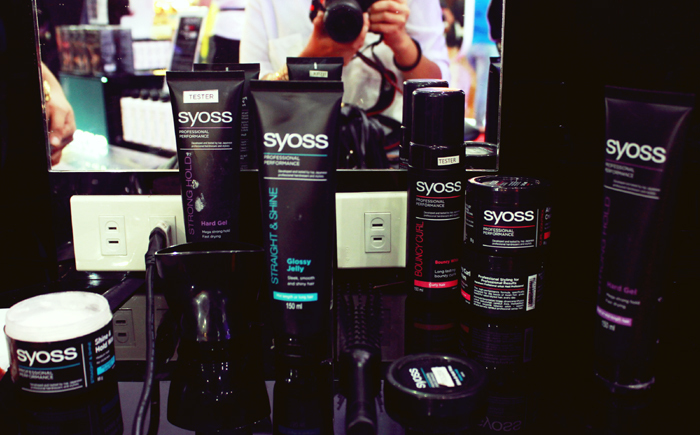 Syoss carries a wide range of products from shampoos to mousse and even to hair colors! And unlike other dyes, Syoss is safe to use for pregnant women. Plus, judging the packaging and effectivity of the products, you might think it'll cost you a lot. But fear not my dear readers, you wouldn't believe how affordable these are. Imagine for a 190 ml shampoo, it'll only cost you around 90+ Php and for hair color its roughly around 330! 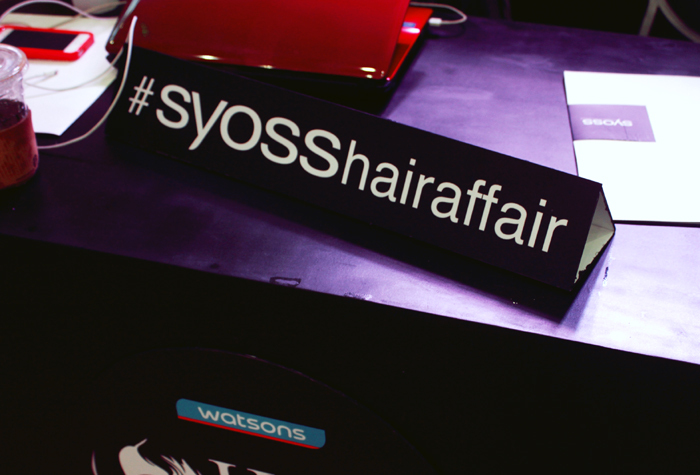 Syoss products can be found in Watsons. And the long wait is finally over! 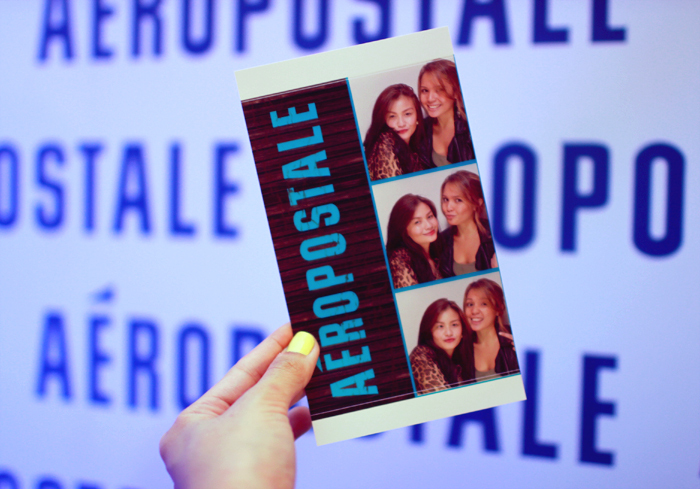 One of America's retail giants, Aéropostale, has finally opened its doors to the Philippines and I was fortunate enough to witness the official launch last June 19, Wednesday at the new Glorietta Activity Center, near the Aeropostale store. 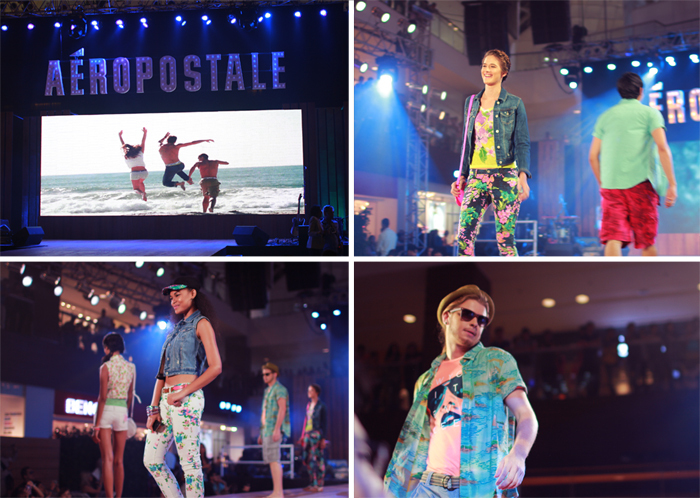 It was a fusion of both fashion and music, perfect for the brand's feel which is young, hip and fun! 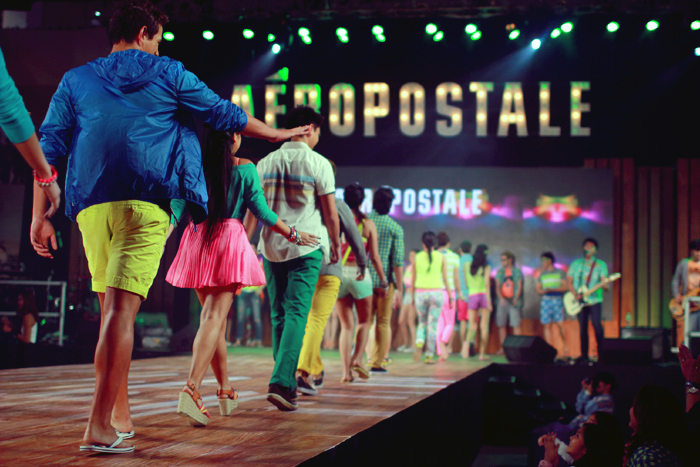 Famous OPM Band, She's only Sixteen, opened the fashion show and models animatedly walked the runway in their vibrant-colored ensembles while live music was playing. Unlike other fashion shows in which people are stuck to their seats as models strut themselves, this was very entertaining and alive. The picnic-esque set-up (food stalls on the side and bean bags on the floor) perfectly gave the launch the 'chill' vibe in which I am confident everyone in the audience really enjoyed! I personally felt it wasn't just a show but also a big event in which people were gathered by a common cause. 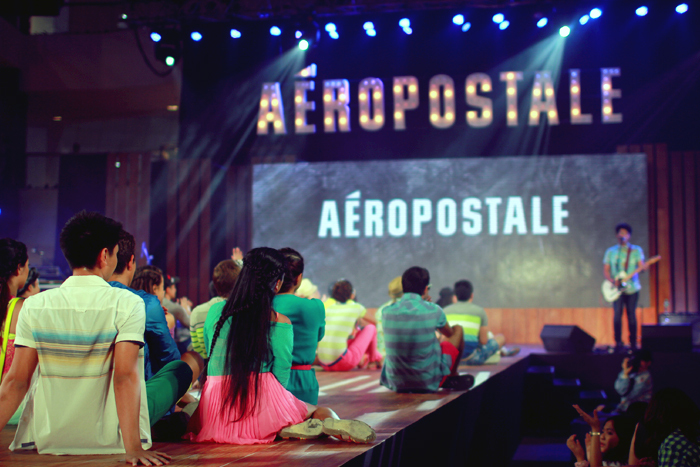 In Aéropostale's case it was fashion and music. 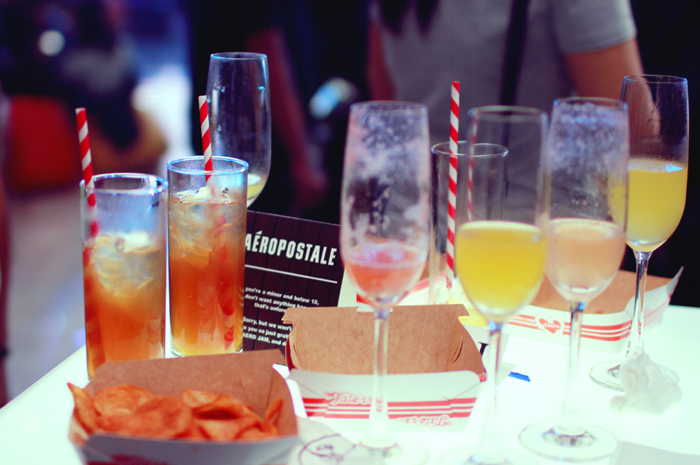 Food and refreshments to keep us stuffed & fresh throughout the show! Models in their hip & chic looks. Check out the floral pants. Aren’t they just too cute?! 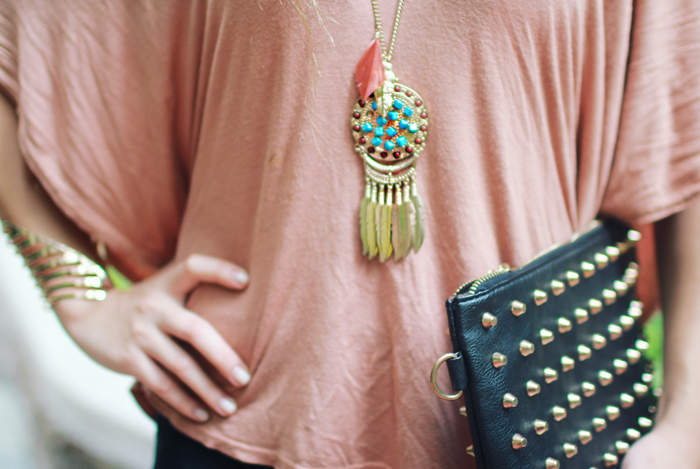 The shorts with lace details is one of my favorites! Check out the green jacket. Fell in love with the moment it came out of the runway. 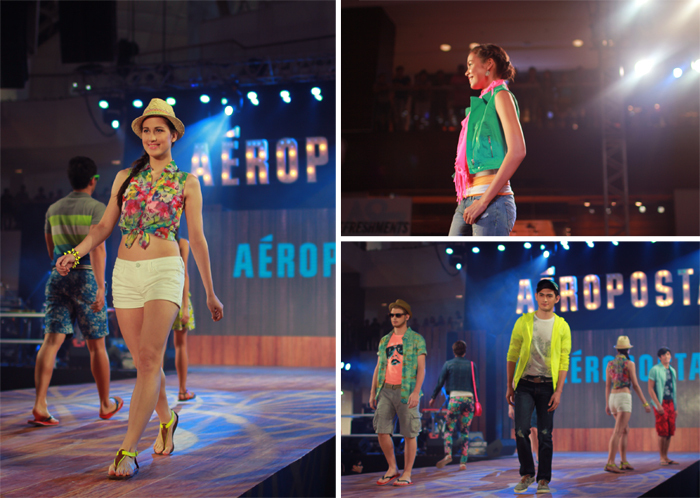 Vibrant colors gracing all throughout the show! 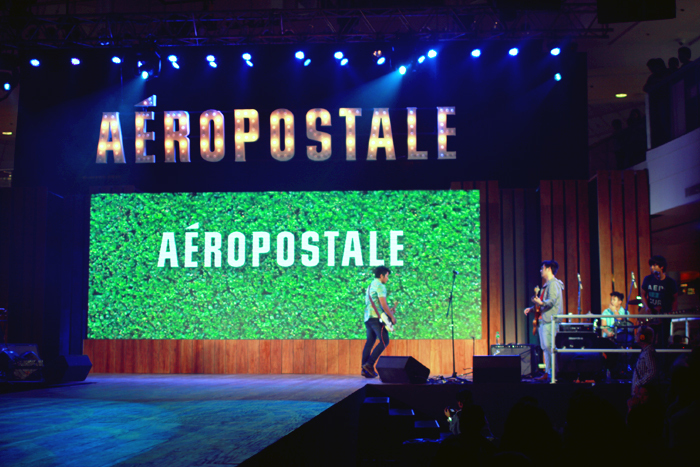 Aeropostale is located at the ground floor of the new Glorietta 2.